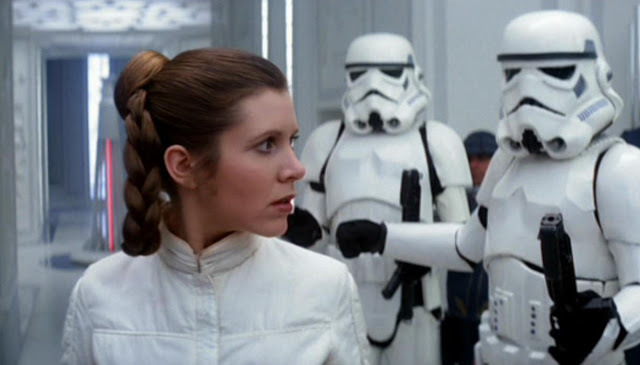 She's Fantastic: Star Wars - PRINCESS LEIA (BESPIN ESCAPE)! Star Wars - PRINCESS LEIA (BESPIN ESCAPE)! I'm loving how the Star Wars 6" Black Series is on a roll with getting us all the Princess Leia variations. I was always overwhelmed by the Leias in the 3.75" collection so I never even attempted to get them. But with the 6" series, I am getting in on the ground floor and I'm excited to see how far the line goes. 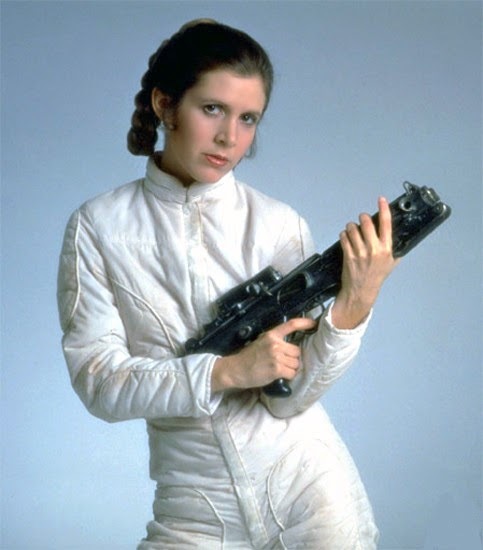 I'm not even completely aware of all the outfits she appeared in, but my favorite movie was always Return on the Jedi so I'm looking forward to her camouflage Endor outfit, her long-hair Ewok festival outfit, and her award ceremony gown. And I think in time that we'll see all of these. Unfortunately we now deal with an issue of the first two Black Series Leias being awkwardly out of scale: Slave Leia being too small and Boushh Disguise Leia being too large. I would love apology figures someday, but not before exhausting the variations we haven't seen yet. Then again, the Padme Amidala wardrobe could completely derail the current Leia momentum. Time will tell. 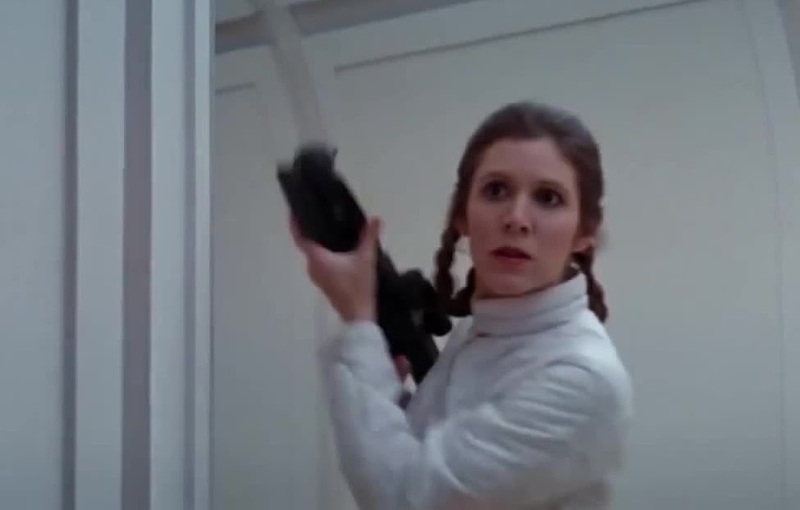 Let's check out Bespin Escape Leia below! Here are all my 6" Black Series Leias so far: 40th Anniversary, General Organa, Bespin Escape, Boushh Disguise, Slave Leia. Thanks 4 posting all of the Leias..I scrolled down to see b4 I was done w/the article I admit!